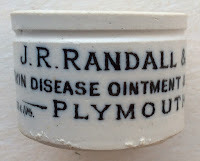 John Richard Randall traded in Plymouth during the last quarter of the 19th century until his death in 1903. 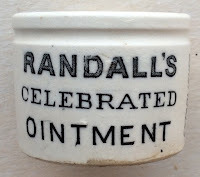 He was described as a manufacturer of ointment and/or plasters. 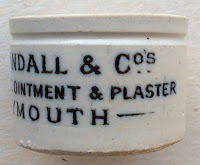 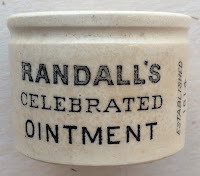 The earliest pots bear the name of J.R. Randall & Co's, Skin Disease Ointment & Plaister, with two prices listed although only one size of pot is known. 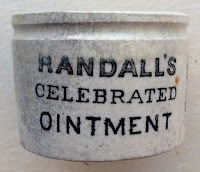 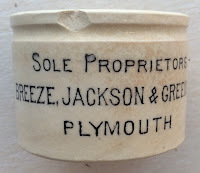 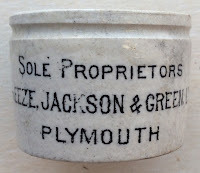 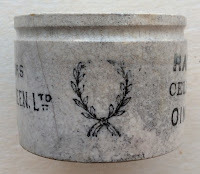 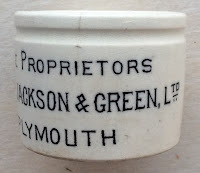 The pots bearing the name Randall's Celebrated Ointment were sold by the retailers Breeze, Jackson & Green, a partnership borne following the demise of J.R. Randall. 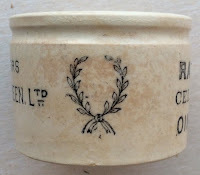 A couple of variations exist, one of which shows a laurel leaf pictorial to one side of the pot. 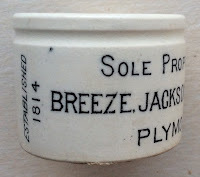 book produced by Messrs. Houghton & Priestley, page 115 & 116.